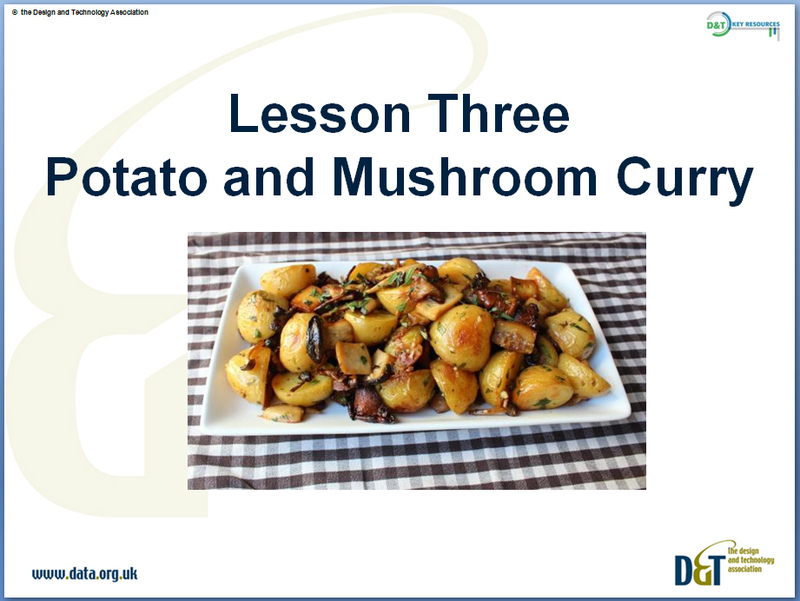 This pack contains four sets of resources covering food teaching and learning at Early KS3 (Year 7). The resources are also available as individual units and as a full set covering the whole of KS3. They form part of a whole KS3 scheme covering Textiles, Food, Systems and Control and Product Design. This covers the introduction to the kitchen environment, food safety and safe working, establishing routines and building basic culinary skills. 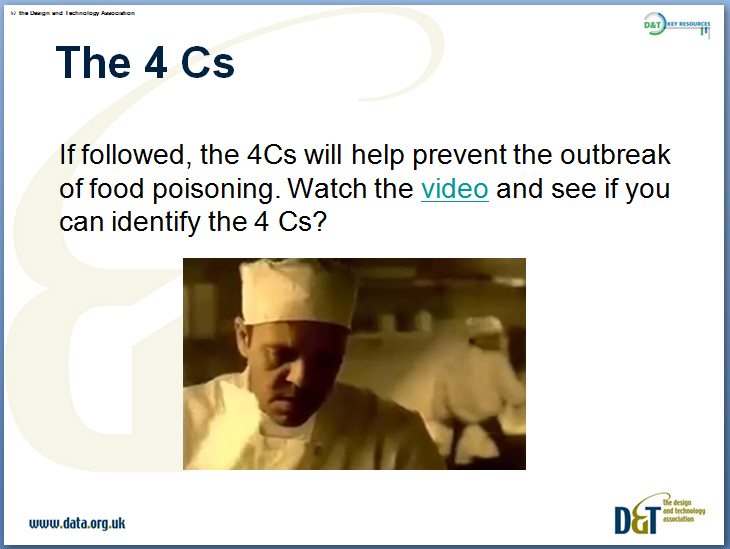 It considers at food safety through personal hygiene and the 4 Cs, as well as healthy eating principles. Practical lessons have students making baked beans on toast, a fruit salad, ratatouille and bolognaise. Producing a healthier meal aimed at teenagers. 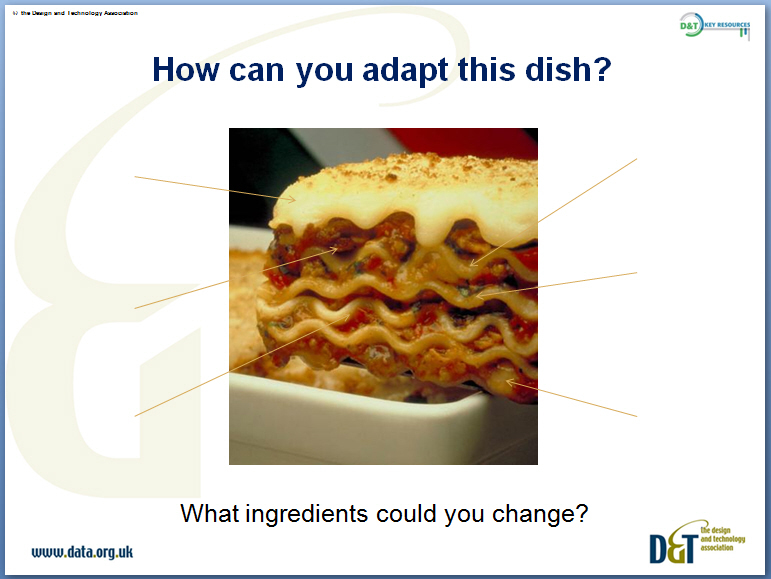 Students investigate factors affecting food choices before designing and making a meal suitable for a teenager. They consider factors such as the importance of a balanced diet, cost, availability, cultural and religious practices and health concerns. Practical lessons include making a stir fry, a curry and kofta before working independently on their final choice of meal.